Back up, strap in, and go nuts! iOS 9 is ready for public beta. So far today is shaping up to be software Christmas, with a public beta of OS X El Capitan, as well as a final version of Microsoft Office 2016 for Mac shipping to Office 365 subscribers. Don’t let your iPhone and iPad feel neglected, though—Apple is also launching the public beta of iOS 9. Now, a beta is a beta. Don’t get swept up in the excitement and forget that this software isn’t final and could have bugs, so you might want to think twice about putting it on your everyday iPhone. That said, developers are on their third beta of iOS 9 and we haven’t heard about any major problems, so if you’re feeling brave, here’s how to get the beta and what you can expect when you do. 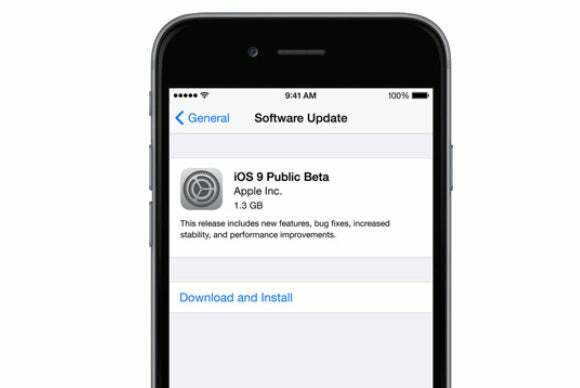 What is the iOS 9 beta? Apple has a Beta Software Program that started with OS X 10.10 Yosemite and is now providing betas of OS X 10.11 El Capitan. iOS 9 is the first version of iOS that is available as a public beta—before, you had to join the developer program for $99 (per year) to get prerelease versions of iOS. The public beta lets you avoid that expense, and will make it easier to install the beta too. Back up! Back up your device—I recommend a tethered backup to iTunes with the “Encrypt this backup” box checked, so you won’t have to log in to all your apps and services again if you should need to restore from this backup. 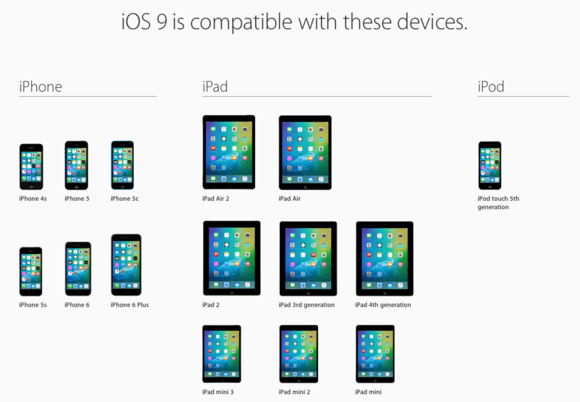 Again, Apple recommends you install the iOS 9 beta on a secondary device. You just head to the Beta Software Program page and express interest by singing in with your Apple ID and password. You also have to agree to the terms and enroll your iOS device. Once you log in to the Beta Software Program page, you’ll see a link to Enroll your iOS device. Apple will remind you to make a backup (seriously, you really, really have to back up—back up to iTunes, and Apple recommends you “archive” the backup to make sure it’s saved), and then you’re instructed to go to beta.apple.com/profile on the iOS device that you want to put the beta on, in order to download and install a configuration profile. That will make the beta available in the Settings app. While you’re waiting for it to download and install, you can check out our full iOS 9 FAQ, or this more truncated look at six major headaches that iOS 9 is going to fix. Not every feature will be supported on all devices, though. Split View (running two apps side-by-side) works on iPad Air 2 only. And to begin with, you will probably be running Apple apps. (Say, looking up info in Safari while writing a message in Mail or taking notes in Notes.) Third-party developers will need to update their apps to support the feature, but Apple says it’s a pretty easy update, akin to the work they had to do to support the different screen sizes of the iPhone 6 and 6 Plus. Still, they might not all scramble to update their apps for the beta, but Apple’s apps will work. The Slide Out and Picture in Picture features for iPad will work with the iPad Air 2, iPad Air, iPad mini 3, and iPad mini 2. Read more about iOS 9’s iPad-specific multitasking features here—they’re really cool. Is there anything special I should do to protect my data while I’m running iOS 9? Apple will update the iOS 9 public beta a few times before the final version ships. But updating it is easy—you can update over the air in the Settings app, or use iTunes. It’s always a good idea to back up before updating, of course. Can I go back to iOS 8 if something goes wrong? Yes you can. It requires erasing your device first, so you better believe you’ll need a backup. You’ll just connect your iPhone or iPad to your Mac, put it in recovery mode, and restore it to the backup you made before you installed iOS 9. So yes, you really do need to do a backup to iTunes before you install iOS 9’s public beta. In the fall—typically it’s right around the time the new iPhones come out, which has traditionally been the second week of September. (We here at Macworld don’t know what Apple’s plans are for this year, but that’s been the pattern lately.) When the final version drops, people running the public beta will be able to upgrade to it and shouldn’t lose any data. Especially if they’ve backed everything up just in case, which I’m sure you’re sick of hearing me tell you by now.